CSUN police officers rescued a mother duck and her seven ducklings Wednesday afternoon. Officers were dispatched to Kurland Hall shortly after 9 a.m. after someone realized the ducklings were in a storm drain. Physical Plant Management was sent to remove the manhole cover. 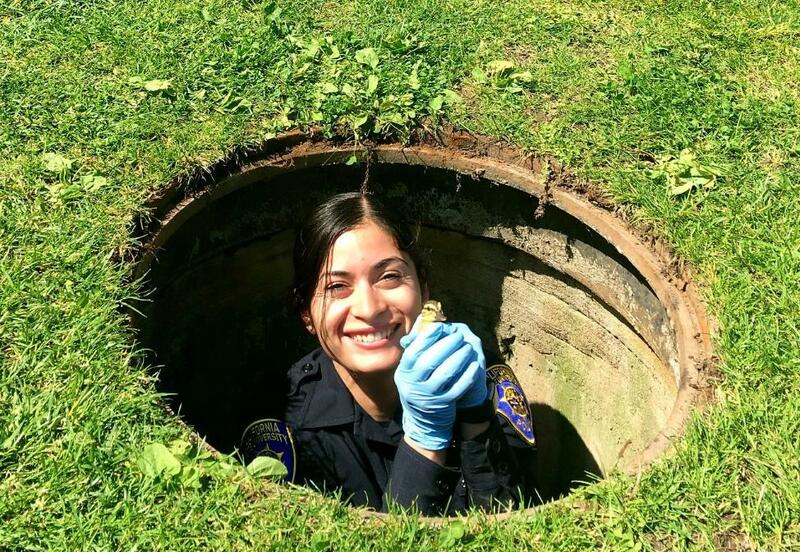 Eventually, Officer Jennifer Sanchez was lowered into the drain only to find that the ducklings escaped through a drain pipe leading them to another storm drain. Officer Alexis Arellano and Sanchez played duck calls from their cell phones to the lure the ducklings into a secure storm drain. About an hour later, six of the seven ducklings were rescued, and the mother duck led them away without the seventh. The last duckling was later found and turned over to animal control for proper care and well-being.